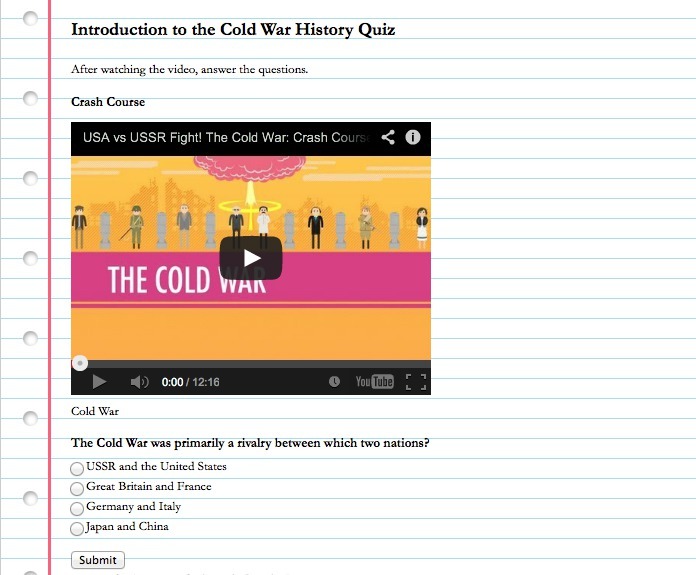 Did You Know Google Forms Could Do This? While flipped classrooms are certainly not new concepts, for a long time it seemed like a very difficult concept to actually implement with students. For many years, costly software like Camtasia or Screenflow were some of the only options teachers had if they wanted to deliver content outside of the traditional class setting. However, recently a whole host of new options have made “flipping” easy. A few of these tools have been featured on Randolphhum like Showme and EduCanon. 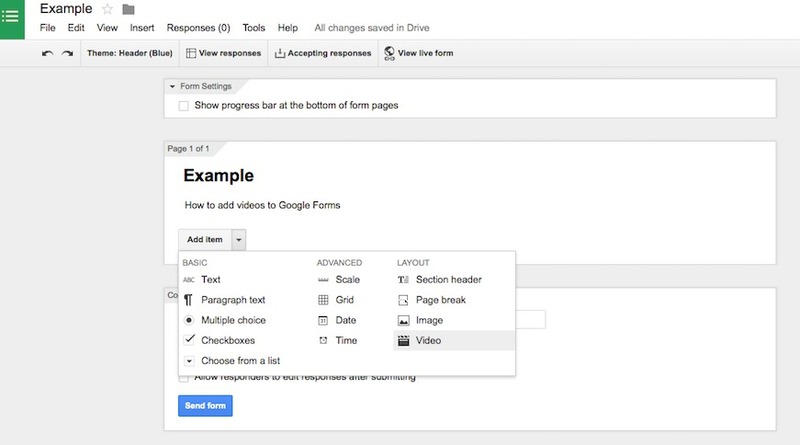 Now, Google has made flipping lessons simple by allowing videos to be embedded directly into Google Forms.